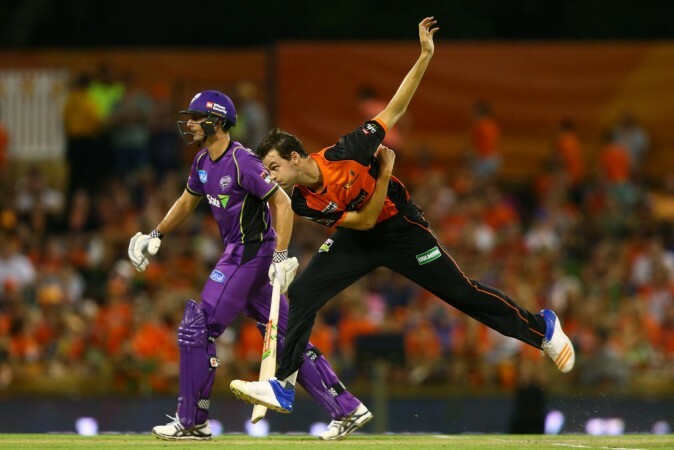 KKR has signed Matt Kelly after he impressed everyone in this season's Big Bash League. Kolkata Knight Riders has signed fiery Western Australian pacer Matt Kelly as a replacement for the injured South African paceman Anrich Nortje. He will be a part of the KKR squad for the rest of Indian Premier League season. 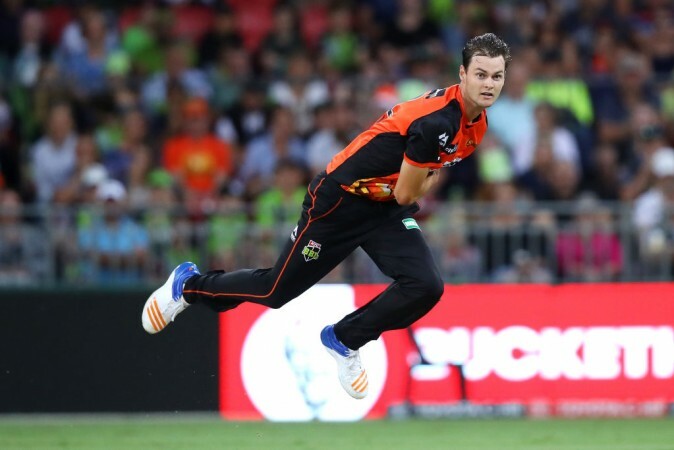 The 24-year-old quick bowler impressed everyone in the Big Bash League where he plied his trade for the Perth Scorchers. Fellow Western Australian and KKR assistant coach, Simon Katich, was evidently one of from the bunch of impressed personnel as he convinced his team's head coach Jacques Kallis to sign the youngster. Matt Kelly has played only 12 senior T20 matches thus far in his career and seven of them have come during this season of the Big Bash League. In those seven matches, the pacer has picked up 11 wickets at an impressive economy rate of 7.74 runs per over. 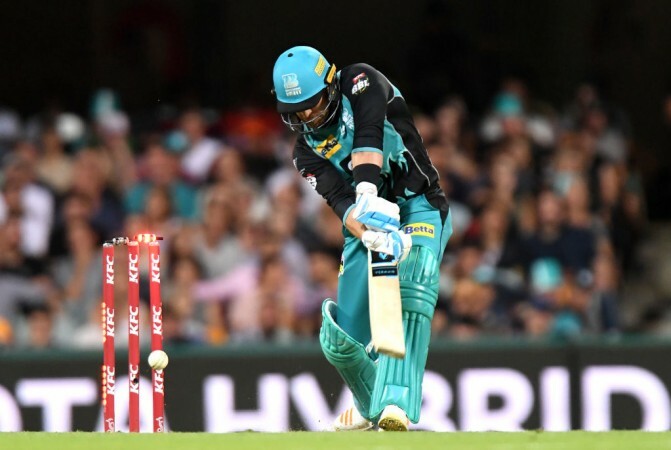 Kelly's standout trait in the Big Bash League was his ability to master the art of death bowling by executing fast and accurate yorkers with consistent precision. The yorker has seemingly gone out of the game with bowlers trying different variations to no avail. Most of the death bowlers today are either bowling length balls or resorting to slower balls but the batsmen are managing to slog them with their brute power. In this scenario, a bowler who can execute the yorker is a gift and KKR will be hoping that the Australian pacer can unleash his barrage of toe-crushers in the IPL. Matt Kelly's ability to bowl the yorker has caught the attention of former Australian cricketer Mark Waugh too. The Aussie legend has, in fact, thrown Kelly's name into the hat for World Cup selection. "I've got one bolter from Western Australia, Matt Kelly, who no one's spoken about," Waugh told Big Sports Breakfast radio program. Australia has a rich line of pace bowlers gunning to make it to the World Cup squad with the likes of Pat Cummins, Mitchell Starc, Josh Hazlewood, Jhye Richardson, Nathan Coulter-Nile and Jason Behrendorff gunning for a place on the flight to England in May. But Waugh believes that Kelly possesses a skill very few of the aforementioned do. "One thing we do lack slightly is a really good death bowler — a guy who can bowl yorkers at the end of the innings and he's really good at that," Waugh said. "He played for the Scorchers and WA. He's a bit of a smoky but I'd have him the mix." KKR has been able to unearth great potential over the years. Sunil Narine was an unknown entity before coming to the IPL and Andre Russell was a benchwarmer at Delhi before he joined KKR. But now the duo has won three of the last four Most Valuable Player awards in the IPL. KKR also have a history of playing Aussie quicks with Brett Lee, Pat Cummins, James Pattinson and Mitchell Johnson all turning out for the franchise. Mitchell Starc was also snapped up by KKR but did not play for them owing to injury. Kelly is the latest in the long line of quicks from Down Under in Eden Gardens but among all, he will be exposed to the most helpful home track at Eden Gardens compared to his countrymen. At 24, he is physically in his prime to exploit the pacy conditions and make a mark for himself in the IPL.